The past couple of weeks have been full of emotion. I grieved as I watched people I love saying goodbye to their husband and father, and also my friend. I have prayed along with others as another friend had surgery and begins coping with treatment for life-threatening cancer. It’s life. We all do it. We help each other through it. You feel helpless. You look for what you can do and wish you could do more. What I do for a living offers constant perspective. I hear every day about what can happen in people’s lives, both the good and the not so good. I hear about tragedy, abuse, and I hear about tremendous courage in the facing of it. 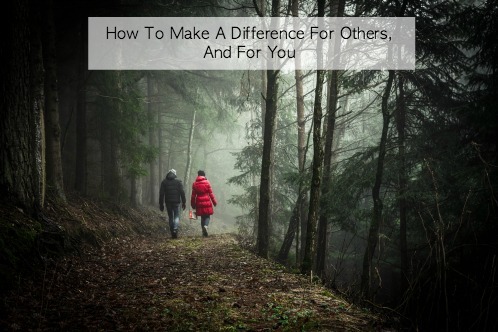 I hear about the kindness of others — how a grandfather’s love for his granddaughter kept her going, how a teacher made a difference that she may not have even recognized. You never know the effect you’re having on those around you. 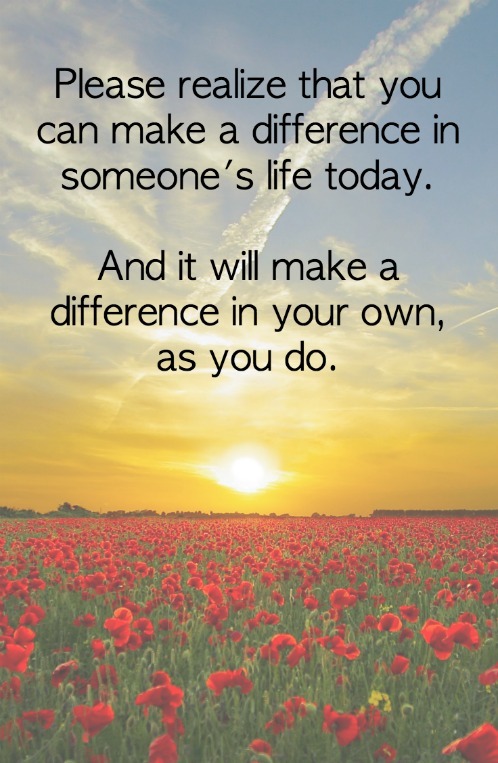 Please realize that you can make a difference in someone’s life today. And it will make a difference in your own, as you do. You don’t want to wait. Take the time today. And the amazing thing is — you never know how thinking of the other guy will change your own perspective. Maybe your own life. I talked to a man this week who has significant social anxiety. As we have been working, I have reminded him that most everyone is self-conscious. Some a little less than others, but most of us have our insecurities. He came in the other day, and told me that he’s beginning to think about that, and as he walks into a room, he’s adopting the attitude, “How can I help the person in front of me feel better about themselves, or more comfortable?” and he relaxes. It’s beginning to make a huge change for him. You can change, as you turn your focus outside yourself. The people I know whose lives have been affected by grief or sudden shock within the last few weeks, know they have loved one another. There is no greater comfort than that. We never know what’s around the corner.